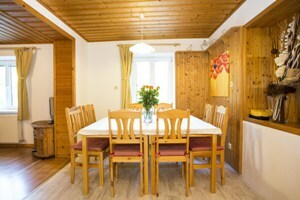 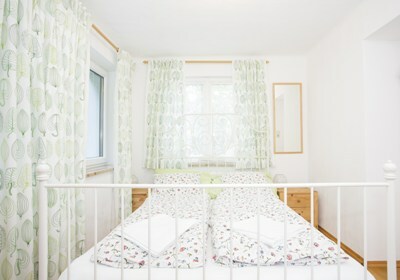 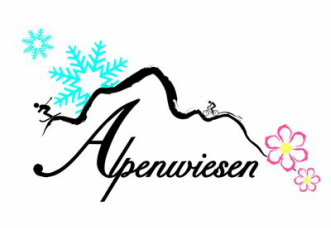 Alpine Meadows is is a spacious, fully equipped ground floor apartment with 3 bedrooms, that sleeps up to 10 people, plus a baby. 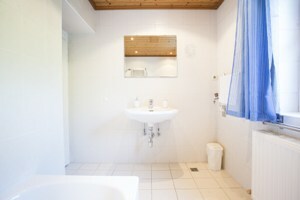 The interior of this luxury alpine property perfectly balances the warmth and comfort of traditional pine cladding and wooden floors, with the convenience and reliability of a modern bathroom and a fully equipped, refitted kitchen. 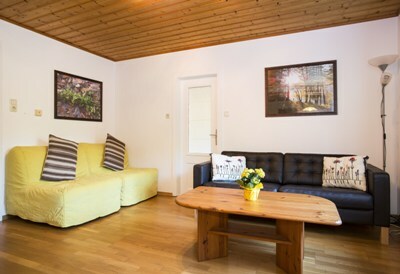 The whole apartment is centrally heated, double glazed and externally insulated to keep you warm in the coldest winter and cool in the hottest summers. 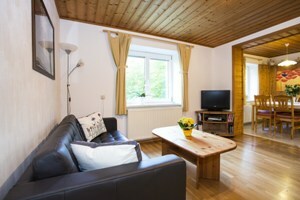 Warm and comfortable the ideal place to relax - leather sofa, easy chair and two single sofa beds. 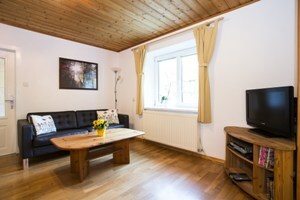 Plus satellite TV, DVD player with DVDs, a full bookcase with books for all ages, some board games for adults and children and some toys - really for children. 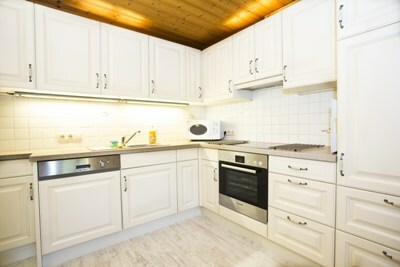 Fully equipped kitchen with ceramic hob, oven, fridge, microwave and dish washer. 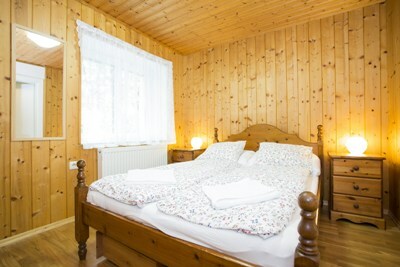 Pine clad has a double bed, double wardrobe, chest of drawers and two bed side chests of drawers. 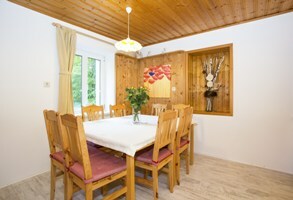 Double bedroom with it's own sitting room or a family bedroom that sleeps four, two wardrobes and a great view. 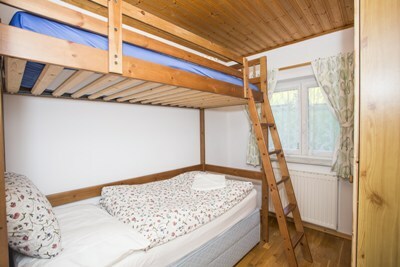 We have a cot, high chair and bedguard, just ask when you book.